Tamoxifen is used to prevent or treat breast cancer and to treat infertility due to absence of ovulation (anovulatory infertility). It is also used to lower a woman’s chance of developing breast cancer if she has a high risk (such as a family history of breast cancer). Tamoxifen belongs to a group of medicines called anti-estrogens. It blocks the actions of estrogen, a female hormone which is required by certain types of breast cancers to grow. Sold under the trade name of Nolvadex, It is an anti-carcinogenic drug that acts against cancer. In simple words, some cancerous cells grow on estrogen. The cancerous cells have estrogen receptors that get attached to estrogen and multiply the growth of cancerous cells. What Tamoxifen does is, with its ability to attach to estrogen without activating it, gets attached to the estrogen and prevents the cancerous cells from binding with the estrogen and multiplying the cancerous cells. It is usually used in treating breast cancer and is known for its effectiveness on cancerous cells that have spread throughout the body. The drug, apart from being prescribed to people suffering from breast cancer, is also prescribed for reducing the chances of developing breast cancer for women who are exposed to a high risk of developing it. For instance, women whose family members have been diagnosed with breast cancer can take this drug to reduce the risk of developing the disease. The effectiveness of this was put forth by a study that was carried for over 5 years on about 1500 women. The study showed that the intake of it reduced the chances of development of breast cancer in women by about 44 percent. This effective drug for breast cancer is also used to treat ailments relating to others and not to breast cancer. Classified by FDA under the D category of medications, you should not intake It you are pregnant. If you are pregnant and have consumed this medicine, the aftereffects can prove harmful for the baby. In case you are using any birth control while taking this medication, use contraceptions like condoms, spermicide or diaphragm, and continue using this form of contraceptions for at least the next two months after you have stopped the intake of this drug. Besides this, it is also suggested that you take up a pregnancy test before you start taking Tamoxifen. Further, if you are allergic to Tamoxifen or have had blood clots in veins, lungs or if you are taking warfarin, do not take Tamoxifen. You should also notify your doctor about any previous liver diseases, cholesterol, stroke, cataract or blood clots that you have had in the past. If you are undergoing a radiation or chemotherapy treatment, make sure you inform him regarding the same as well. The intake of this drug may even increase the risk of uterine cancer, blood clots and stroke, which can turn out to be fatal. Though it depends on the individual nature of the body, you have to still take up several self-exams or mammograms and liver tests if you wish to opt for a safer use of Tamoxifen. If you are someone who suspects you are under a threat of developing breast cancer because some of your family members were diagnosed and treated with breast cancer and intends to use It as a preventive source for breast cancer, make sure you start the medication during your menstrual period. 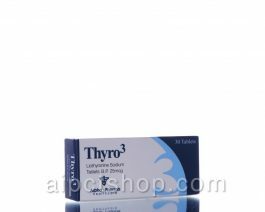 This is a general practice, as far as the intake of this medicine in such cases is concerned. However, it is good to have it confirmed and consulted with a doctor or a physical practitioner before taking up the medicine. never try to compensate for it, and just carry on with your regular dose. This is because if you overdose, you may have to face serious consequences. Similar to the way the side effects depend on the nature of the body of each and every individual, the dosage depends on a number of criteria. Generally, it depends on factore like age, gender, physical condition and more. Your doctor will examine you completely and then fix the dosage based on the inferences, which should not be changed or altered under any case. Before you start with the medication, you should notify your doctor regarding whatever medicines or drugs that you are taking currently. One of the major reasons for this is because there are a number of medicines that react with Tamoxifen and interfere with its working. Some of the drugs that interfere with its working include clozapine, isoniazid, ropinirole, some of the anti-malarial drugs like pyrimethamine, quinine, chloroquine and some anti-biotic as well. Apart from this, there may be also some drugs that can possibly interact with It. Hence, it is always better to consult with the doctor before you start with the medication. Though this does not affect in major ways as far as Tamoxifen is concerned, it is still recommended that you avoid food options like soy and soy based products during the medication. However, you can consult with your doctor for such food options to learn about their effects on the effectiveness of the medicine. In case the doctor approves the consumption of soy and its derivative products, you can go ahead with its consumptions; but if he says no to it, do not take it at any cost. • you are allergic (hypersensitive) to tamoxifen or any other ingredients. • you are pregnant or breast feeding. • you are taking anastrozole to treat breast cancer. Avoid becoming pregnant while taking this medicine and up to 2 months of finishing the course; if you are s**ually active, you should use a barrier method or other non-hormonal method of contraception. Talk to your doctor about this. Do not drive or use machinery. This medicine can cause eye problems and dizziness. You may be required to undergo blood tests, eye tests and gynecological tests before and while you are taking this medicine.If you’re taking the solution, make sure to keep it at room temperature and protect it from light. Throw it away after 3 months, even if you haven’t finished all of it. Taking tamoxifen may increase your risk of uterine cancer, stroke, or a blood clot in the lung, which can be fatal. Talk with your doctor about your specific risks in taking this medication.To make sure this medication is not causing harmful effects, your doctor may want you to have mammograms and to perform routine breast self exams on a regular basis. Your liver function may also need to be tested. Visit your doctor regularly. Q. Is tamoxifen a chemotherapy drug/ a chemo pill/ kill cancer cells/ cytotoxic/ a st***d/ necessary/ generic drug/ does tamoxifen work? Tamoxifen is a selective estrogen receptor modulator (SERM) for both prevention and treatment of breast cancer in high-risk women. It is not actually a chemotherapy or cytotoxic but a hormone therapy which is given as part of an adjuvant chemotherapy program and works in women who have breast cancer that depends on estrogen for growth. Q. What is Cytotam 20/ Nolvadex? Cytotam 20/ Nolvadex are brand names of Tamoxifen. Q. Is Nolvadex a SERM /is nolvadex prescription only/ does Nolvadex reduce estrogen? 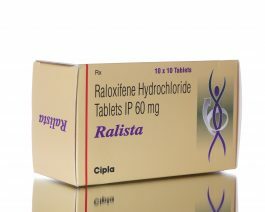 Nolvadex is a brand name for tamoxifen. Tamoxifen is a selective estrogen receptor modulator (SERM). It is to be used only at the advice and under the supervision of registered medical practitioner. Tamoxifen binds and blocks the estrogen receptors on the surface of breast cells, preventing estrogen from binding to the estrogen-sensitive cancer cells and stops the growth and reproduction of these deadly cells. Q. Is tamoxifen (Nolvadex) a st***d/ Is Nolvadex a PCT/is Nolvadex an AI/does nolvadex help with acne/does Nolvadex work for/ reverse/ prevent/ reduce gynocomastia/ can I take nolvadex without st***ds? Nolvadex is not a st***d but actually has quite a few applications for st***d-using athletes, the most common use being the prevention of gynecomastia (enlargement of breasts in men). Nolvadex post androgen-cycle therapy (PCT) is usually implemented when supplementation of anabolic androgenic st***ds has altered the levels of natural hormone. Nolvadex is not an aromatase inhibitor (AI). There is no indication to use tamoxifen without st***ds. Q. Is tamoxifen illegal/ is Nolvadex legal/ is Nolvadex illegal in Australia? Nolvadex is legal in Australia and used for the prevention and treatment of breast cancer. Q. Is tamoxifen/ Nolvadex safe/cytotoxic/ dangerous/ is Nolvadex hard on the liver/ does tamoxifen cause weight gain/ joint pain/stop periods/ hair loss/headaches/insomnia/dry mouth /nausea/ increase libido/ kill libido/ erectile dysfunction/ raise blood pressure? Tamoxifen (Nolvadex) is considered safe when used at recommended dosage and duration. It may cause side effects such as liver dysfunction, changes in your periods, hair loss, headaches, weight gain, joint pain, decrease in libido, erectile dysfunction. Side effects such as insomnia, raised blood pressure and dry mouth are not known but may occur with its use. Q. Can I take tamoxifen/ Nolvadex with ibuprofen/ phentermine/ melatonin/ Decadrone/ orange juice/ Sustanon/ testosterone/ citalopram/ food/ vitamins/ Tren/ Winstrol/ Dianabol/ aRimidex/ Anavar/ Clomid/ hCG? Decadrone (dexamethasone) may interact and lower blood levels and effect of tamoxifen. Using Arimidex (Anastrazole) and tamoxifen together can make Arimidex less effective. Tamoxifen should not be taken with soy products as some substances in soya may stimulate breast cancer. Any other medicinal or food product should be used as per doctor’s recommendation if you are using tamoxifen. Q. Is Nolvadex or Clomid better? Nolvadex contains tamoxifen, while Clomid contains clomiphene citrate. Both these drugs are selective estrogen receptor modulators (SERMs). Tamoxifen is primarily used to prevent or treat breast cancer, but like clomiphene can be used to induce ovulation in women who are infertile. Studies have shown that one drug does not have advantage over the other, and are equally effective for induction of ovulation.